Comment: Need sod install for 200 sq ft area. Already cleared. Comment: Install garden in front and back with a combination of pavers/decomposed granite, sod, shrubs. Install hedge or fence in front yard along with a raised culvert. Project to be completed by May/early June. Comment: Hi there- We have a post mounted light fixture that was damaged and needs repair or replacement. The light is broken off of the footing and currently propped up. It needs a new footing and attachment to footing. Electrical is working fine. Comment: Implement plans for drought tolerant landscaping. Also there is a pipe to be replaced but this doesn't have to be part of the project. Mountain View Landscaping Companies are rated 4.70 out of 5 based on 726 reviews of 52 pros. 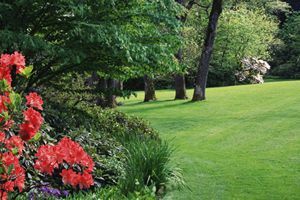 Not Looking for Landscaping Contractors in Mountain View, CA?